Although Garfish is known for our award-winning seafood, we also offer a range of non-seafood dishes. 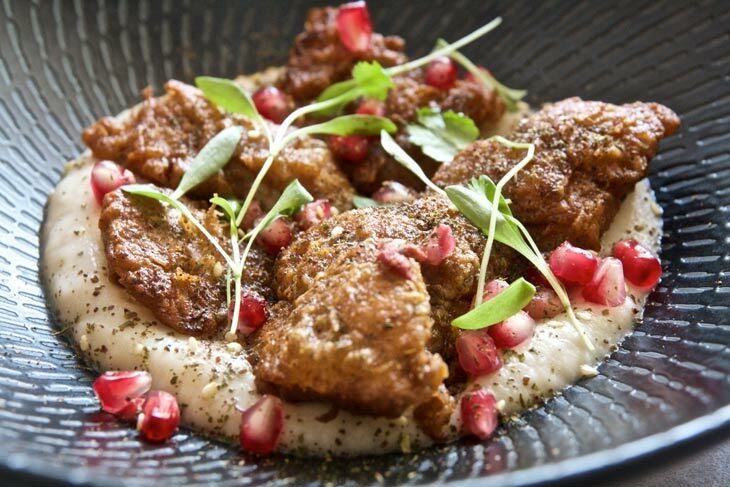 This autumn, our Head Chef, JP, at Kirribilli, has added veal sweetbreads to the menu. To prepare the veal sweetbreads, they are first coated in plain flour then placed straight into a hot pan with canola oil. A couple of knobs of butter are added to enhance the flavour. To serve, we use a base of cauliflower puree. This is cauliflower cooked with onion, garlic and chicken stock. The dish is finished off with fresh, new season pomegranate, and seasoned with zatar, a sesame and thyme spice. Lastly, a garnish of baby coriander is added and the result is a beautiful combination of colours and flavours in this not to be missed autumn dish. If this has whet your appetite, you can view the Kirribilli autumn menu here. If you haven’t dined at Kirribilli before, this restaurant offers a relaxed, intimate cafe feel and is a favourite amongst north shore locals. 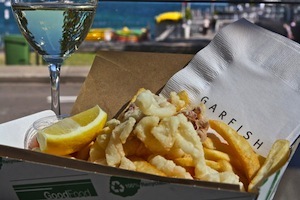 It also regularly attracts visitors to Sydney due to our reputation for serving Australia’s best seafood and was awarded the title of Best Informal Seafood Restaurant in 2016. Situated in the heart of Kirribilli, the Harbour is only a short stroll down the hill and Milson’s Point railway station is just across the road. Our menu changes monthly, with our daily blackboard menu offering the the freshest produce of the season. Kirribilli also offers a tasty breakfast menu 7 days a week, while lunch is available 7 days a week and dinner is served Monday to Saturday. If you’re only after a light meal, our Fish Bites afternoon bar menu is a great way to unwind with a drink and something from our bite-sized menu. Fish Bites is available Monday to Saturday 3 – 6pm. To book your table, call Kirribilli on 9922 4322.